Vodafone Fiji national football coach Christophe Gamel was impressed with the performance of his boy’s despite a 1-1 draw against Solomon Islands in the first leg of the international friendly at ANZ Stadium in Suva last night. Gamel said the players had given their best for what we have worked on and it was not an easy match. “Solomon Islands played an interesting match as they played inside and outside with an extra player. It was a pleasure to see this kind of football from the team and with all the work done by Fiji FA it has paid off,” Gamel said. The Frenchman said he would look into the discipline of some players as it was a problem. “Discipline is always a problem in Fiji and there were times players were not disciplined. The districts need to improve on discipline and they should be strict with their players and if they can do that we will be able to fix the problem. Epeli Saukuru scored Fiji’s goal in the 37th minute after Christopher Wasasala broke through the penalty box and dribbled pass three Solomon Islands defenders. In the 43rd minute of the first half, Solomon Islands got their second penalty of the game and this time stylish midfielder Micah Lea’a-lafa made no mistakes as he equalized for his team. Solomon Islands coach Filipe Vega-Arango Alonso says finishing was lacking for his side but he got what he wanted from the match. 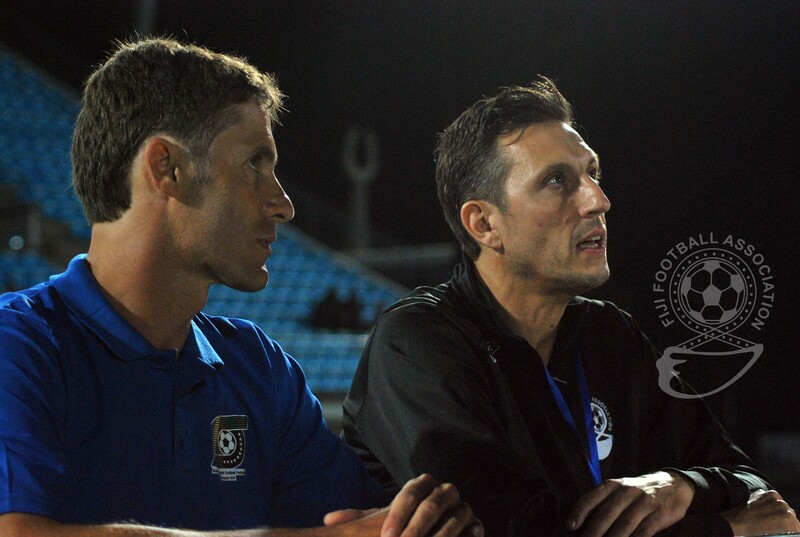 Alonso said Fiji and Solomon Islands needed to work together to improve football in the Oceania region. “It was an entertaining match and we had more possession and had a good transition though we had some problems with the finishing. “We also did not allow Fiji a lot of chances at our goal and we controlled the match,” he said. “There are a lot of work to be done as we need to get better for the second match. The Benaminio Mateiniqara captained side will take on Solomon Islands in the second match at Churchill Park in Lautoka on Sunday at 3pm.